The Super Bowl is just a few short weeks away and I know everybody is looking for the best appetizers to serve at their party. Of course, chicken wings, meatballs, dips, chips, and mini sandwiches made the cut. 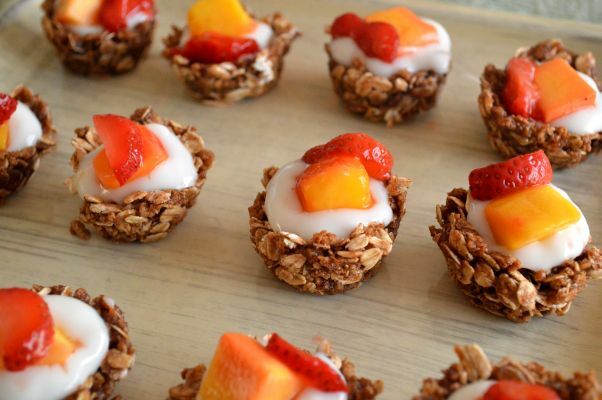 If you want something a little different that your guests will love (and not loaded with calories) make these bite-sized granola yogurt cups. Enjoy! Coat mini muffin pan with cooking spray. In large bowl, combine oats and bran. In a saucepan over low-medium heat, mix sugar, cinnamon, salt, honey, and extract. Stir mixture until it comes to a boil, then immediately remove from heat. Pour mixture over the oats and bran. Mix until oats and bran are completely coated. Using a rounded tablespoon, scoop mixture into greased compartments of muffin pan. Grease the back of tablespoon and use to firmly press mixture into pan. Let mixture set for 30 minutes. Remove cups from pan and place onto serving platter. Scoop one tbsp. of yogurt into each cup. Top each cup with 1-2 small pieces of fruit. If you want to try another yogurt recipe, then these frozen yogurt apple crumble squares are perfect for you! What an awesome idea, using the granola as a little serving dish. They look and sound delicious! Those look good. At first I thought they looked like jelly egg candies…yeah, don’t ask. Ha ha. I may actually have to make these one day. Thank you for this amazing recipe. I need more on the go breakfast options! That looks perfect for breakfast! 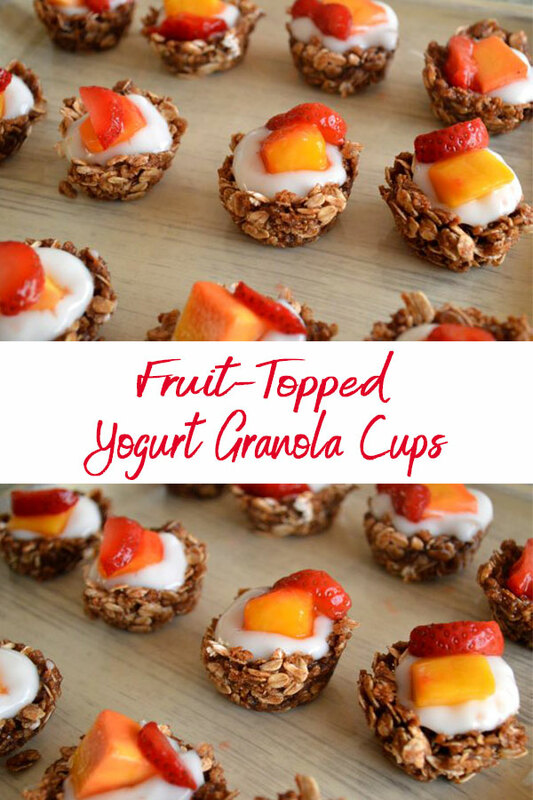 I want to make some for my son, he likes granla and yogurt. It looks so delicious! And also it is very healthy. Perfect recipe for me! Those are just perfect little bites! Not only do they look appealing, they sound wonderfully tasty. Liz Mays recently posted…GE French Door Refrigerator with Keurig – I’m in Love! I love that you no longer have to bake it! It’s really easy to assemble and easy recipe are a mom’s best friend! 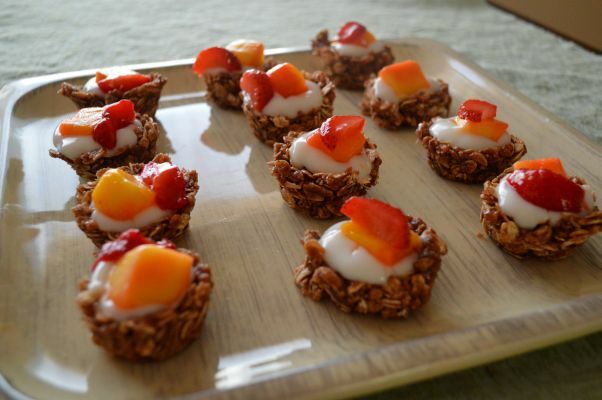 It’s perfect for any party that you can think of, what’s great is that it’s healthy as well. No need to feel guilty about eating too much! Love reading about food and looking at it even more. These look unhealthy but are actually quite healthy. Thank you for posting! These sound so good! I love that they are bite size and have some crunch and are creamy too! 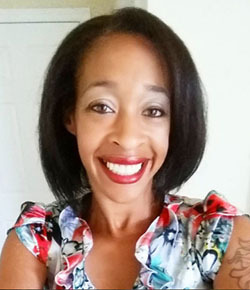 Jessica Harlow recently posted…Enter to win a Honeywell Turbo On The Go Fan! These look so incredible!!! My kids and husband would love these! They’re so cute and tiny. I’d love to make these for an after school snack. Currently thinking of a reason to have a brunch and my girls over so I can make these! They’re adorable and look so tasty! This is an awesome and fun recipe. My kids would totally love it. These are adorable snacks! They look simple to make and very delicious. I may have to try to make these at some point. Those look really good. I’ve made something similar to this before. I’ll have to give yours a try too! What a great idea! I can’t wait to try it at home! Yummy! A very healthy way of living. Thank you so much for the recipe. I am enjoying it.